Islamabad, August 05, 2009: Youth Parliament Pakistan has strongly deplored the Gojra incidents and demanded transparent investigations to unveil the facts and the hidden faces. The Resolution jointly presented by Mr. Nishat ul Hassan Kazmi (YP20-Punjab01) and Mr. Mohsin Saeed (YP29-Punjab10) to condemn the recent violence in Gojra and asked the Government to highlight fact and personalities behind this tragic incident was unanimously approved by the house. All members were of the view that people involved in such brutal acts belong to no religion. Another resolution was approved by the house that was presented by Ms. Hira Batool Rizvi (YP 15-NWFP03) to urge Government of Pakistan to exercise its jurisdiction to examine the legitimacy of the Petroleum Development Levy Ordinance as it violated the rights of the citizens to life, liberty, safety and social justice. Youth Parliamentarians forced Government to stop adding difficulties and pressures on the people of Pakistan in the disguise of taxes. The motion moved by Mr. Raheel Sher Khan Niazi (YP43-PUNJAB24) to discuss the Government’s strategy regarding the rehabilitation of IDPs focusing only on short term measures while not throwing any light on long-term steps. 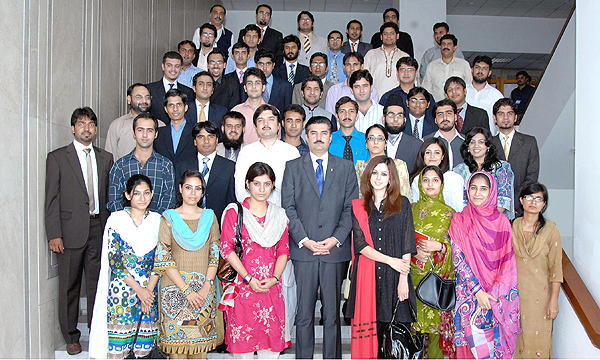 Youth Prime Minister referred that motion to the Youth Parliament Standing Committees of Economics, Planning Development and Defence. Mr. Muhammad Abdullah Zaidi (YP53-SINDH05) presented another motion in the house to discuss the two-nation theory and the ideological basis of Pakistan and the groundwork for the ethical case made for the creation of Pakistan. During the discussion Youth Parliamentarians stressed to look forward fro the future destination rather than to debate on the past issues. Youth Prime Minister said, during his speech that Pakistan is created in the name of Islam where every minority should enjoy its complete religious freedom. There are, no doubt, loopholes in the system but Government is determined the overcome the deprivation of minorities. 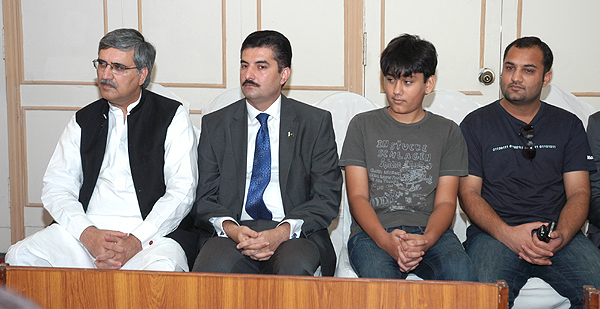 In the Session of Youth Parliament, Mr. Faisal Karim Kundi, Deputy Speaker of the National Assembly, introduced the little Pakistani Cyber Kid, Babar Iqbal who made a world record in the field of IT as Youngest Microsoft Certified Technology Specialist (MCTS) at the age of 12.